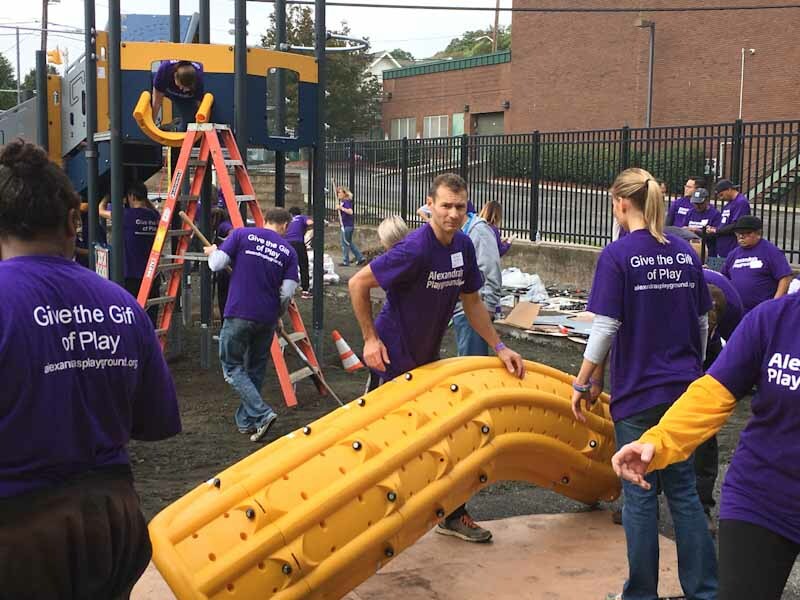 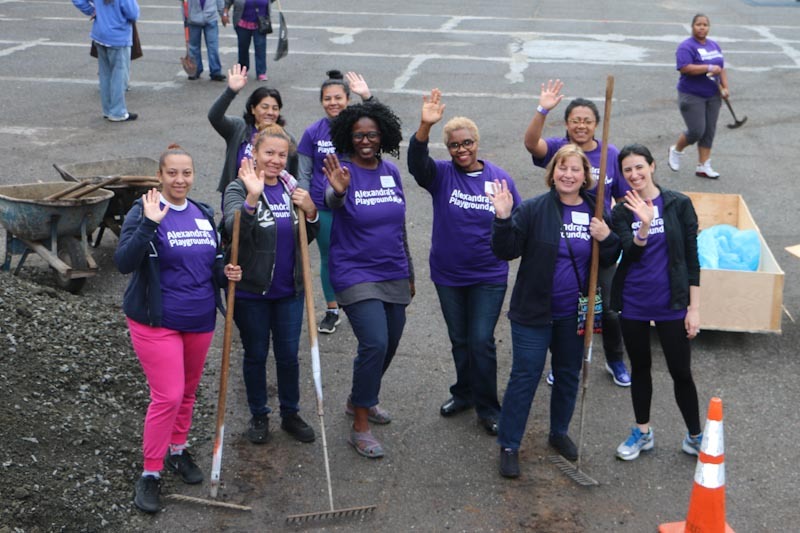 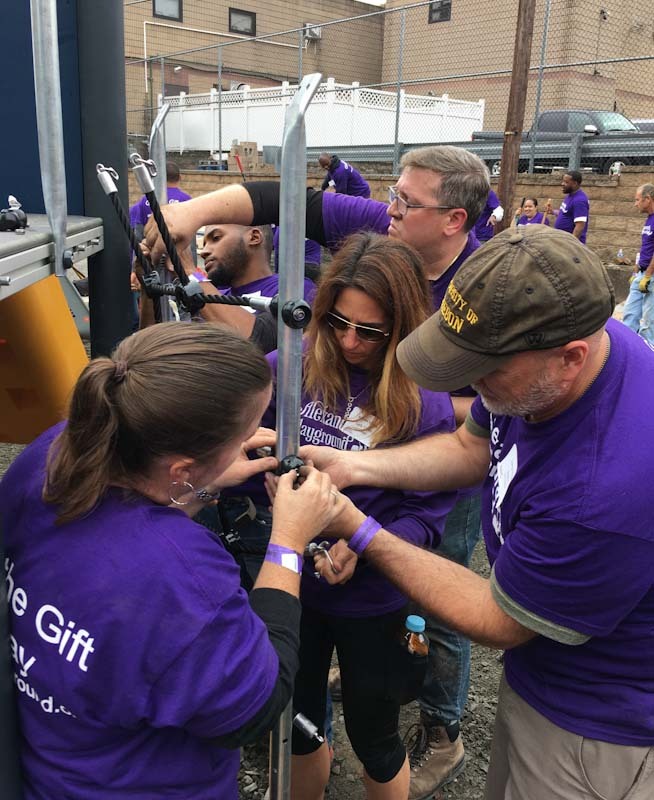 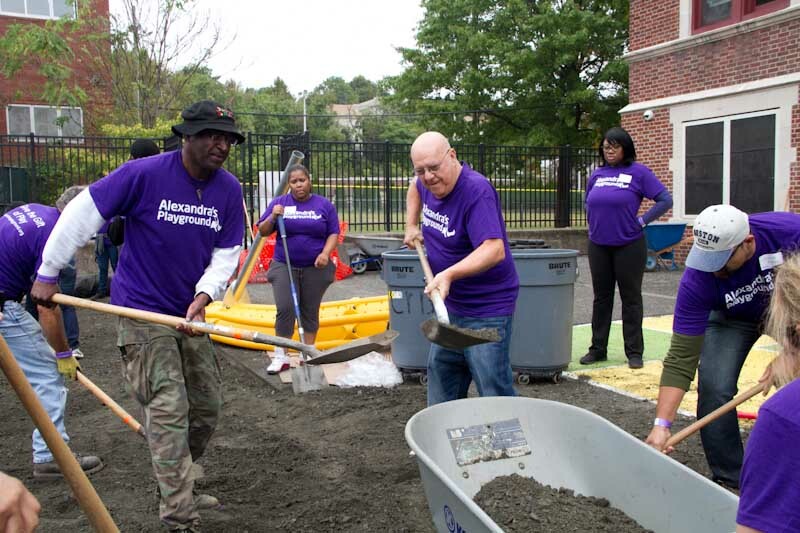 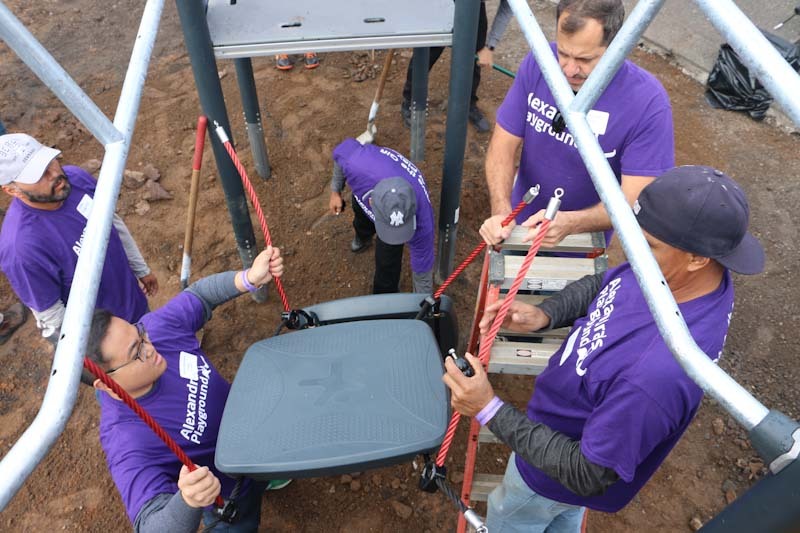 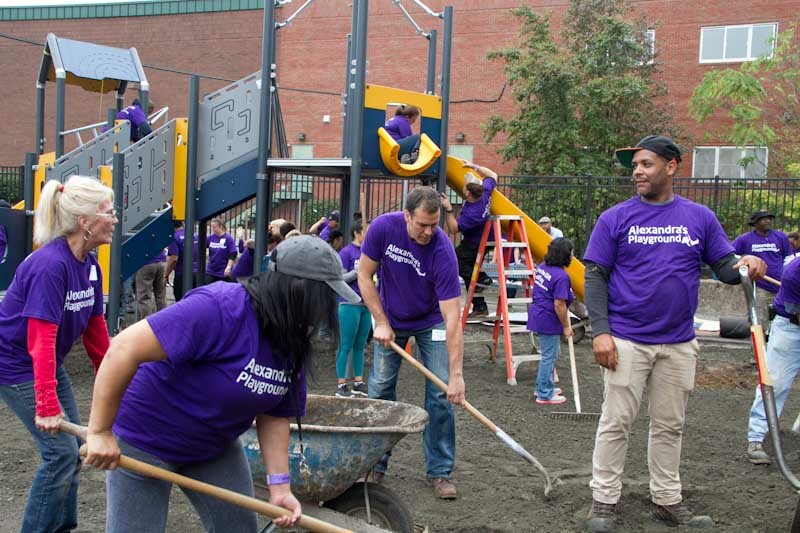 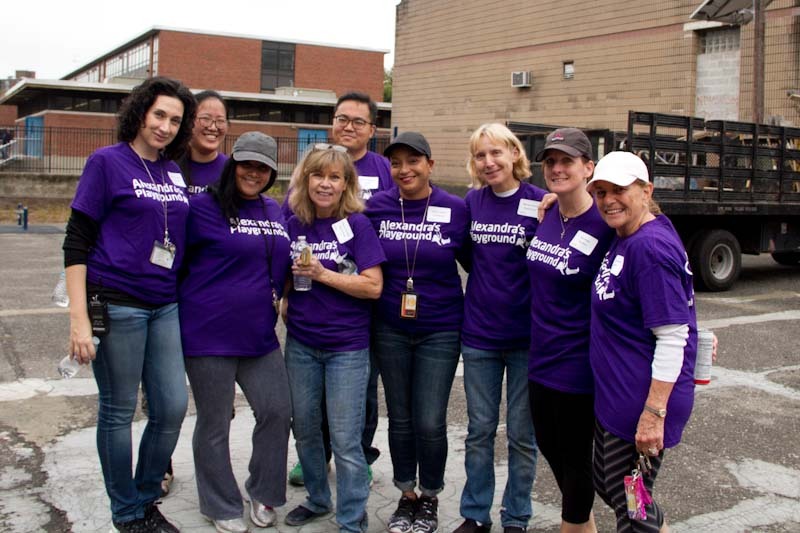 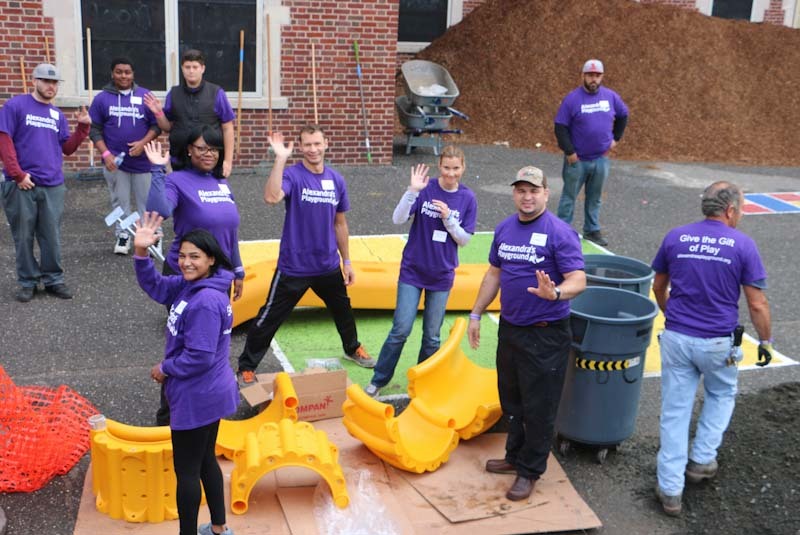 The community was brimming with energy on Saturday, October 14, 2017, as more than 100 volunteers joined together to build a new Alexandra’s Playground. 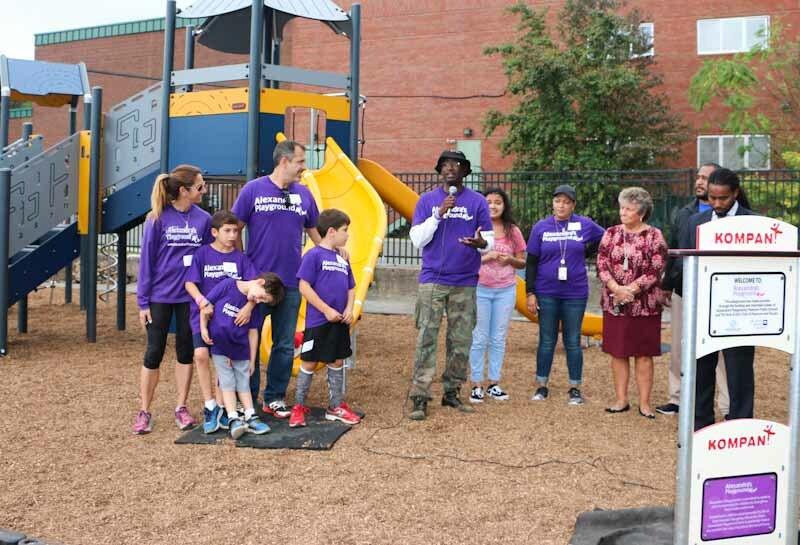 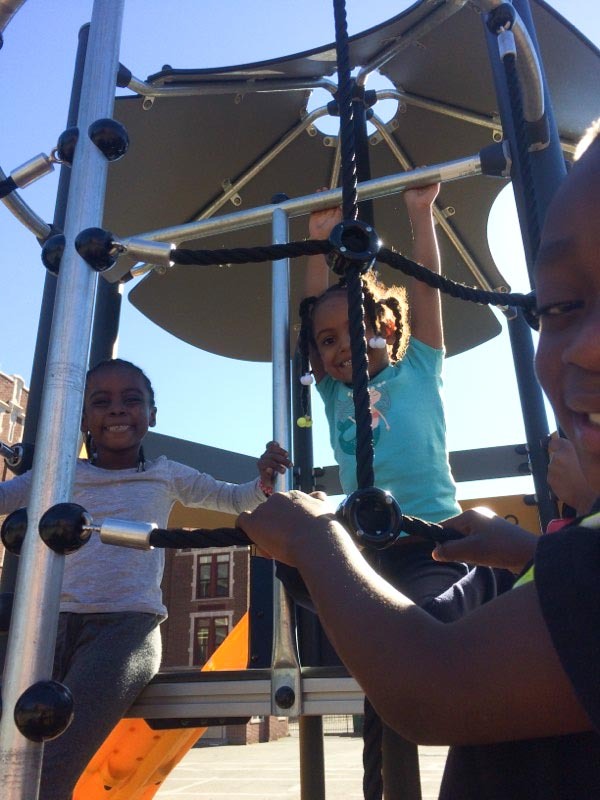 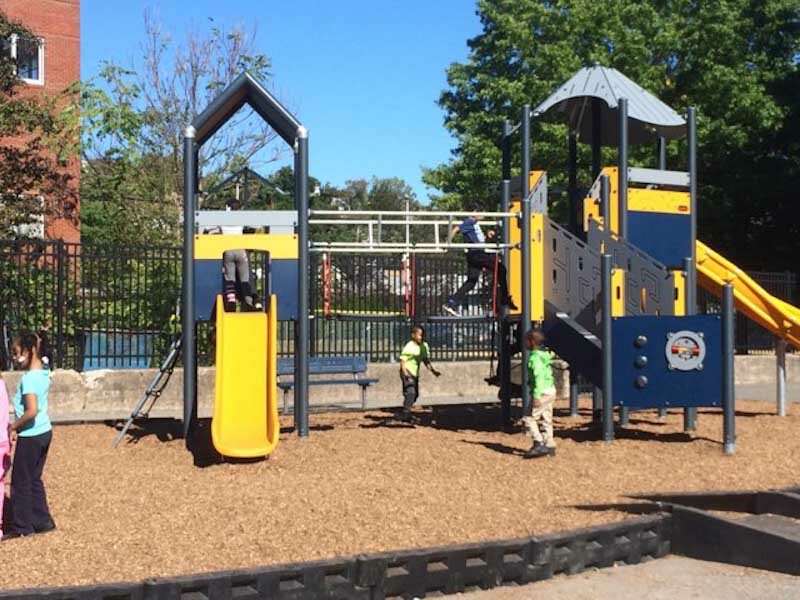 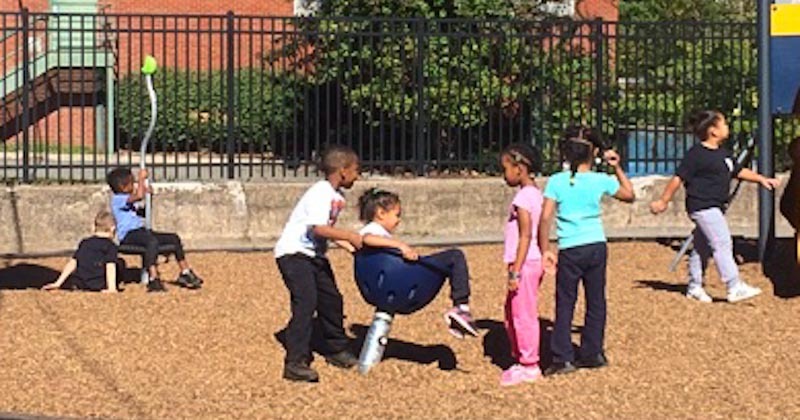 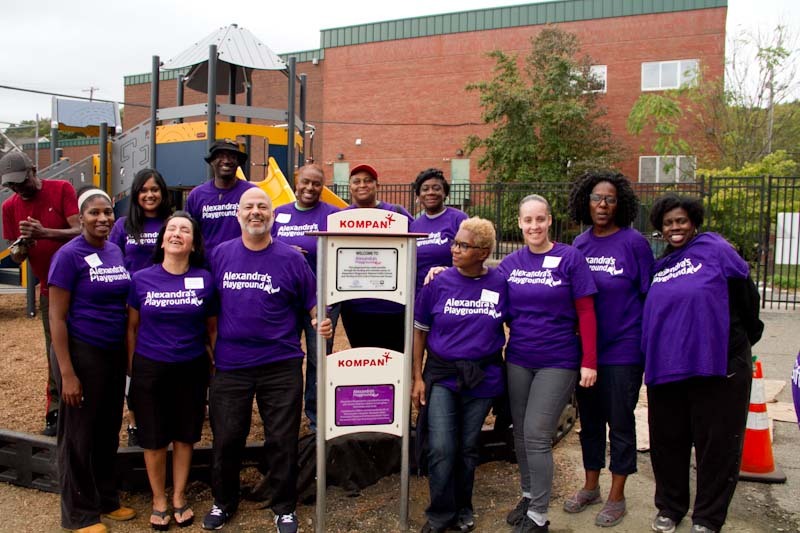 This new playground supports the more than 900 preK -8 students in the schools, and provides a much needed safe play space for this densely populated community. 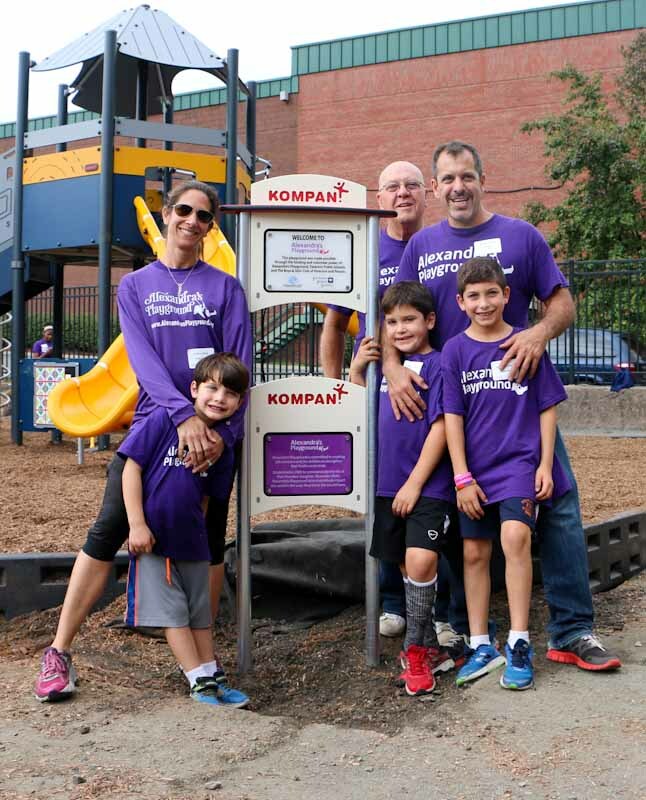 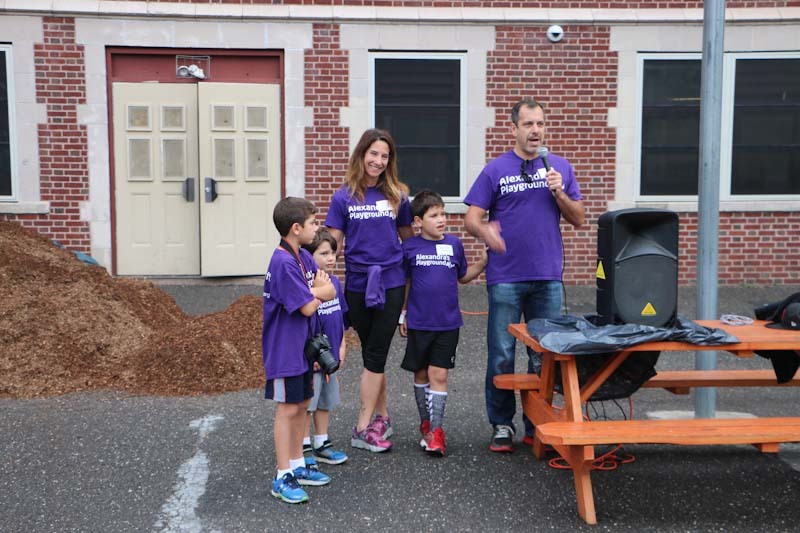 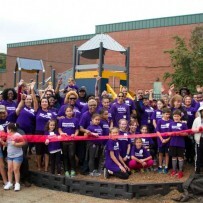 We appreciate the efforts of all who helped make this playground a reality. 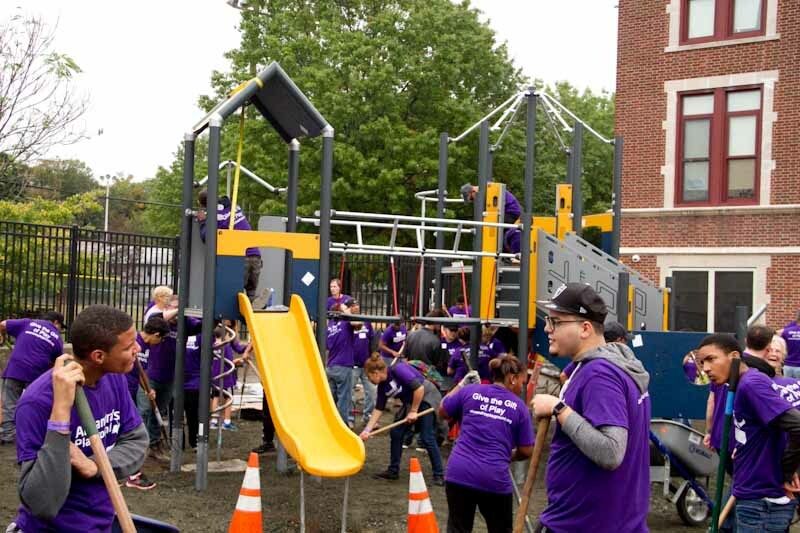 Sending a big thank you to all who continue to support and donate to Alexandra’s Playground, the Paterson School District, CTS Group Architecture/Planning PA, The Boys and Girls Club of Paterson & Passaic, Paterson Fire Department, and the many volunteers who came from near and far to share their time and hearts with this community. 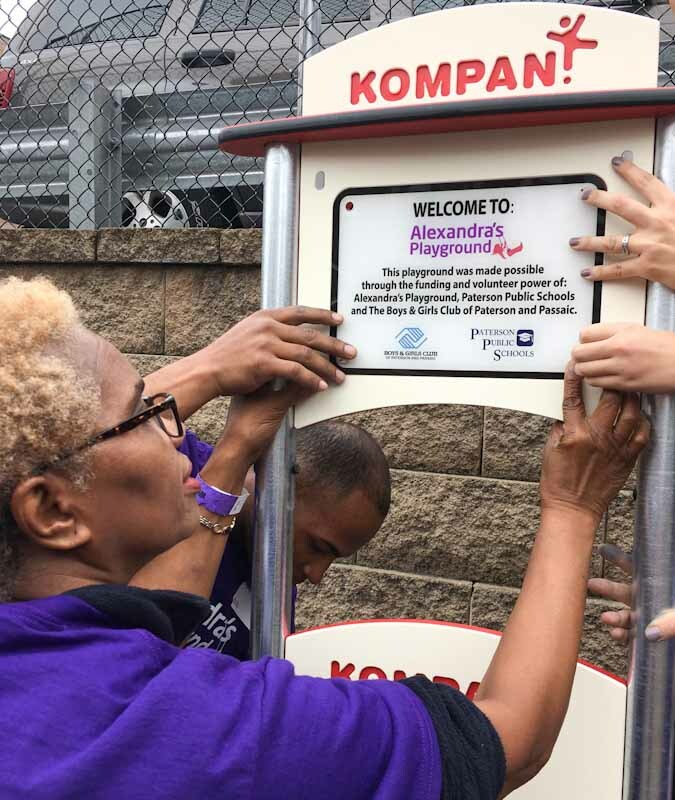 The Kompan playground is designed for ages 5-12, and includes a double play tower, three slides, two bridges, climbing nets, a spinner bowl, and more. 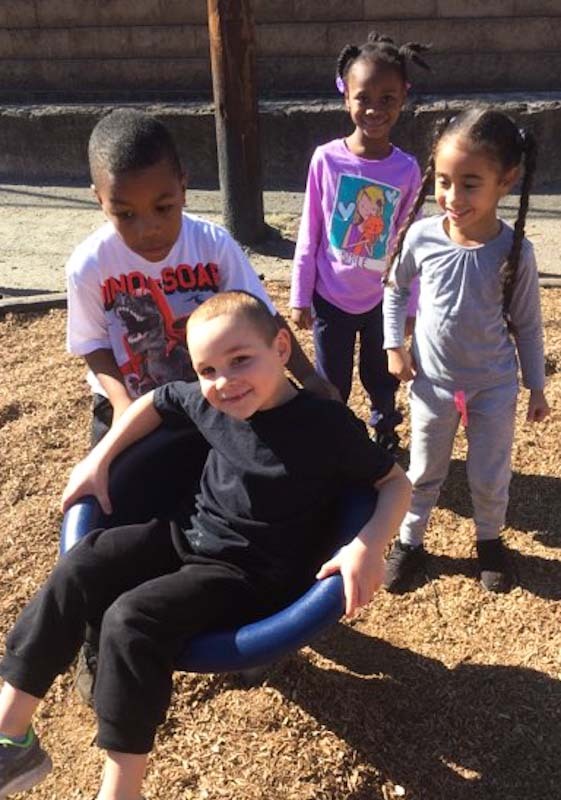 Smiles, laughter, and friendship will be filling the playground for years to come. 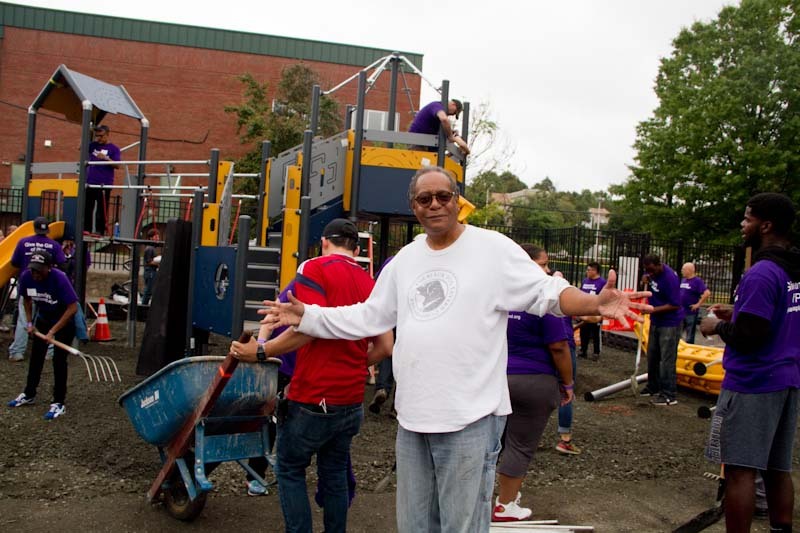 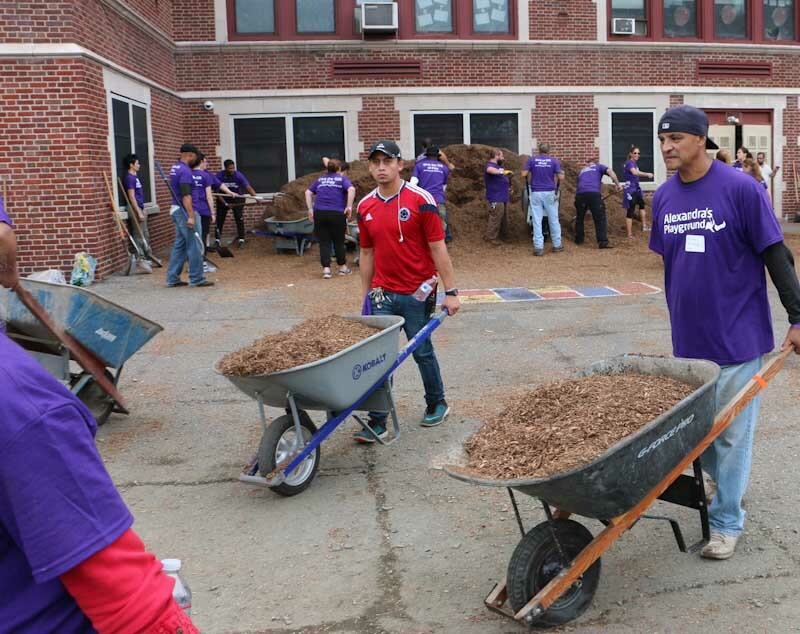 Visit the gallery to view more photos of the playground and community build.